Happy Monday friends! I hope you all had a great weekend and had a chance to try some of the meals we shared last week! 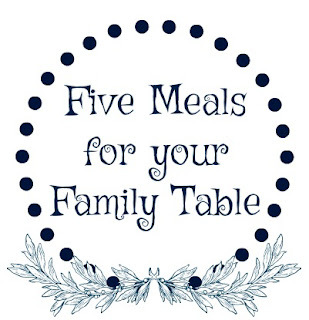 Here is a menu with 5 recipes for your family table this week. We are sharing one Crockpot meal and one soup in this week's plan, because both feel right for January! 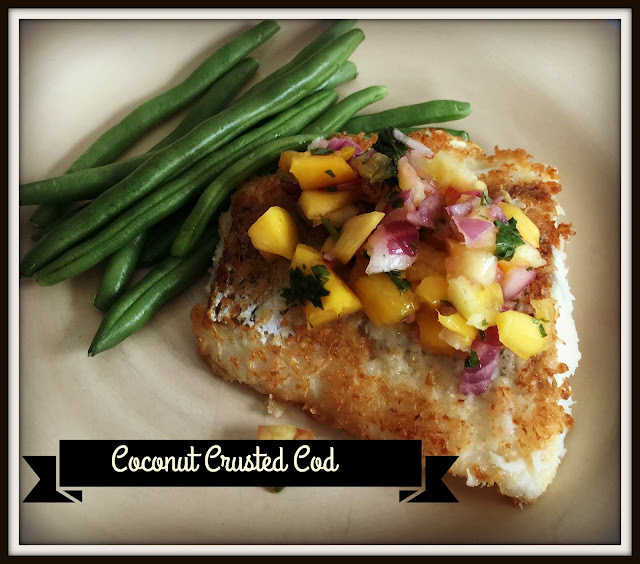 Kick off your week with our Coconut Crusted Cod & Pineapple Salsa. I love making this dinner in the winter...it transports me to somewhere tropical with the flavors of coconut and pineapple! You can make the salsa a few days ahead of time. The fish cooks quickly too... we pair ours with some brown rice and steamed green beans. You can find the recipe here. 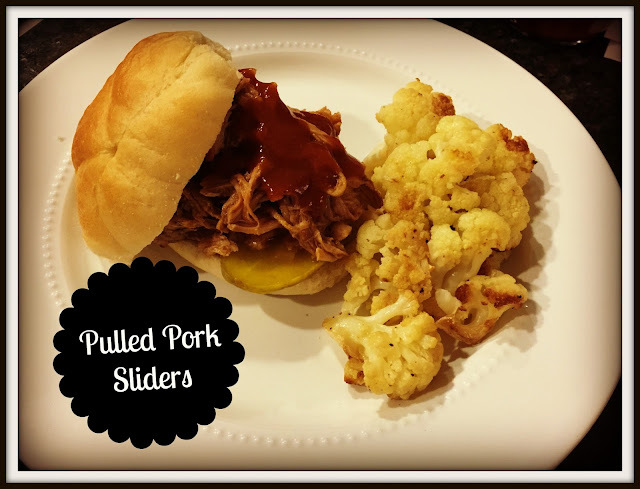 You can't beat a Crockpot meal on a busy winter night. This pork cooks all day...and as a bonus, we can usually get dinner for two nights with this one! We will do sliders one night and serve over rice the next night. I have also topped a spinach salad with pulled pork... it's delicious! Soup... in winter...perfect! 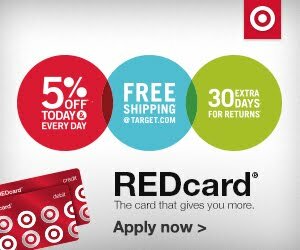 Are you seeing a trend here? It was freezing here when I planned this week's meals.. I wanted either cozy food or to think I was somewhere warm! 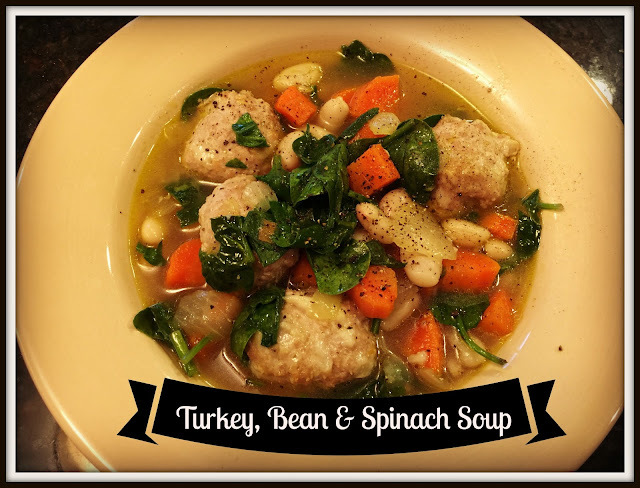 This Turkey, Bean & Spinach soup is perfect on a January night! You can grab the recipe for this soup here. 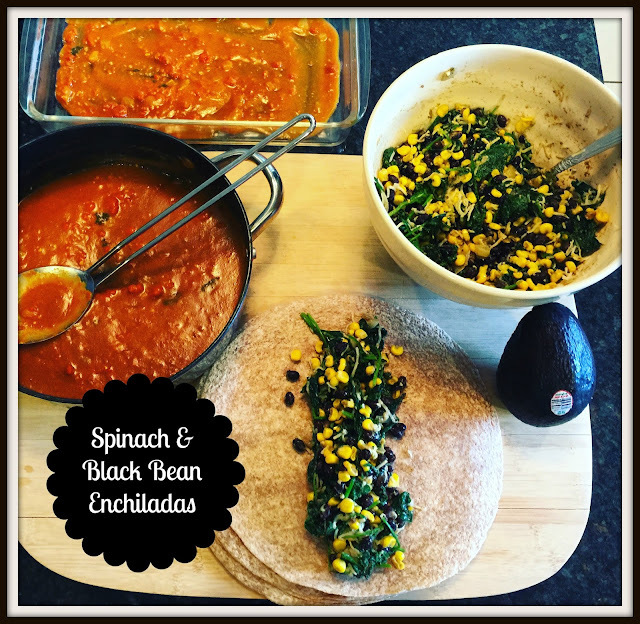 End your week with these Spinach & Blackbean Enchiladas. I stumbled upon this recipe a few years ago and just love it! You can get the recipe here. I follow the recipe pretty closely, except I only use about half the cheese that is called for. You can make these ahead of time and just bake them up when ready. We top ours with a dollop of plain Greek yogurt and some sliced avocado. Clean & chop your broccoli. Make your pineapple salsa. Chop your carrots & onion and bag together for your soup. Make & bake your meatballs. I buy ground turkey in bulk. I will make one big batch of meatballs and freeze them. 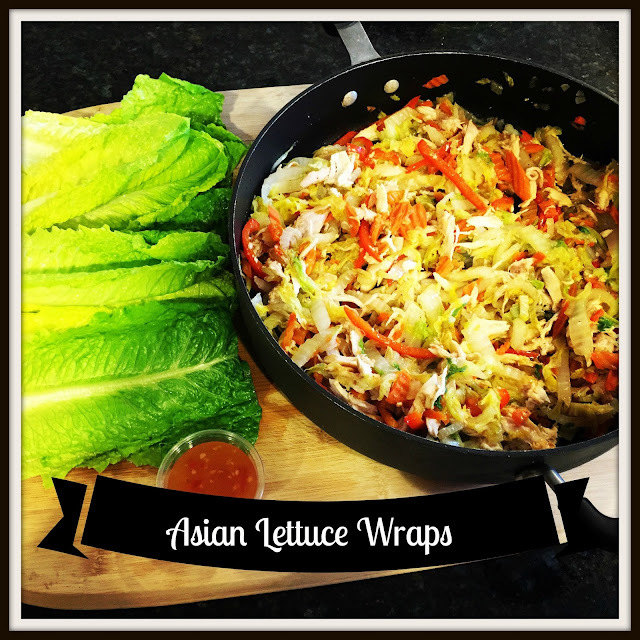 Chop your cabbage, peppers, carrots, onions and bag for your lettuce wraps. 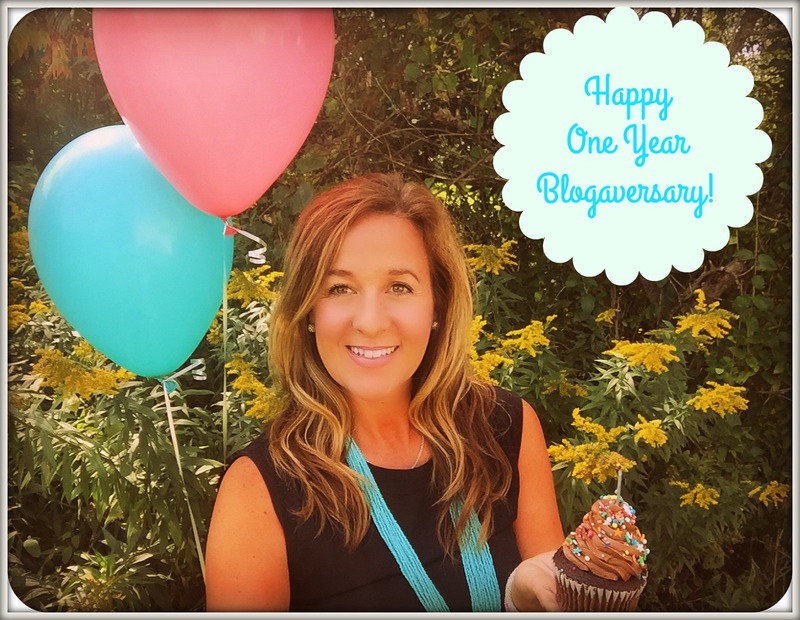 Happy meal planning friends! I hope these tips & recipe ideas can help you and your family find the dinner hour a little less crazy and enjoy a healthy meal and conversation at your family table! 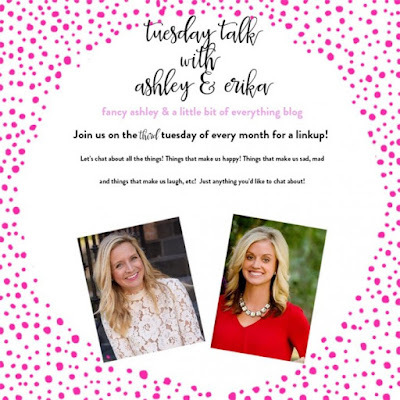 See you tomorrow for Let's Talk Tuesday and our weekend wrap up. There's always room for one more at our family table.